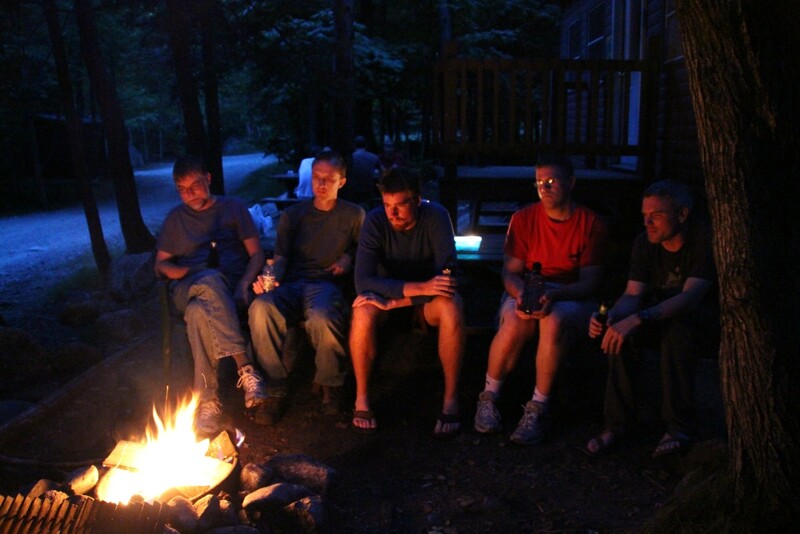 2012-08-07 Relaxing by the fire in front of our bunkhouse after an excellent bratwurst dinner and a hard day of hiking Mt Katahdin. Greg, David, Jonathan, Ariel, and Jonathan. Baxter State Park, Maine.